A couple of days ago I got a call from the listing agent for 38 Elm Lane. I had a client interested in this property but they got two offers on it before we could get there. They accepted one of the offers and all the other parties went somewhere else. Now, the accepted offer has collapsed and owner so motivated to sell that they have agreed to fix the plumbing leaks in the basement and repair the sheetrock damage resulting from the leaks. Not only are they doing this but they also replaced the electrical service that was damaged by a storm. The original price was $160,000 (as is) but now the property has been reduced to $142,500 and major repairs completed or being completed right now. 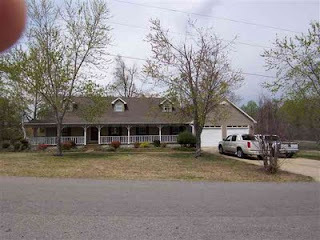 This is a 4 bedroom 3 bath home with over 4000' of living area and has lots of lake frontage. In my opinion, this is a fantastic buy and I would be happy to assist you with this purchase. I bet this can be purchased for somewhere around $130,000.